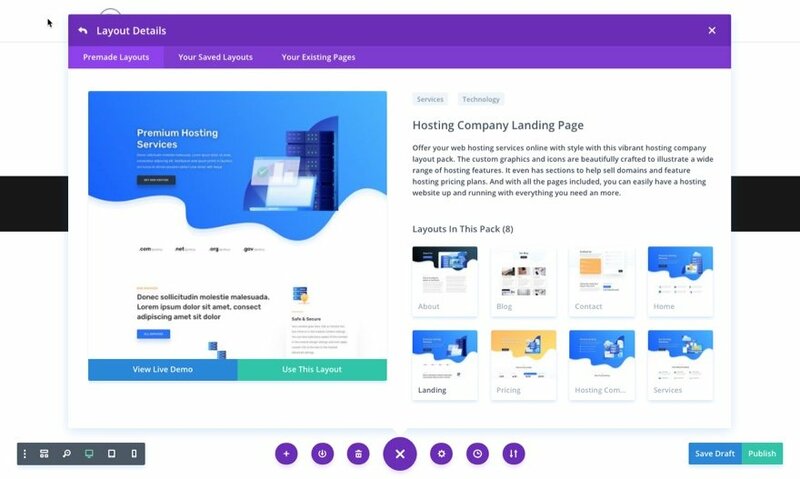 For the first layout this week, our design team has created a vibrant Hosting Company Layout Pack. With this new hosting company layout pack, you can promote your web hosting services online with confidence and style. The custom graphics and icons are beautifully crafted to illustrate a wide range of hosting features. It even has sections to help sell domains and feature hosting pricing plans. And with all the pages included, you can easily have a hosting website up and running with everything you need and more. The custom graphics and icons are an incredible design feature, providing really useful illustrations for hosting services. The creative wavy background images provide a different, yet delightful, spin on section dividers throughout the design. And the Pricing page is surprisingly rich with content and unique design touches. Fantastic work. A clean and simple treatment. I think I may use it as a starting point to a pool cleaning service template. 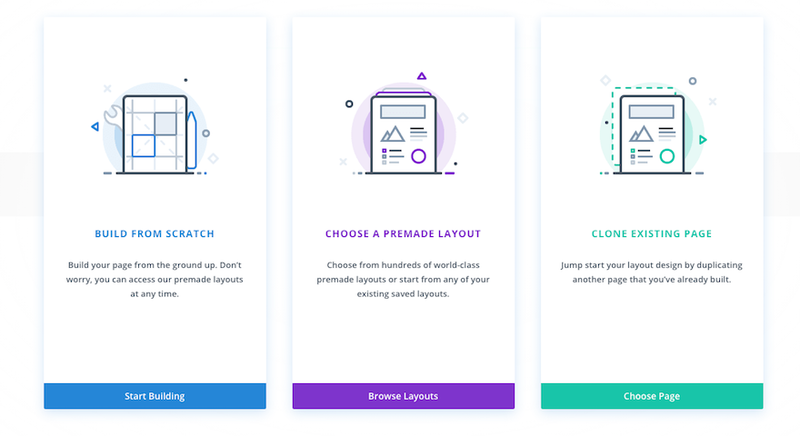 Divi and its Visual Drag & Drop Builder. Everything In One Package. Try It Today. Build Unlimited Websites. Types: Multipurpose Themes, Business Themes, Ecommerce Themes, Portfolio Themes. This is one of the best layout packs I’ve seen from you guys. Thank you!!! I love putting elements from different layouts together to make something unique. Please, launch a Photography or photographer Theme!!!! Cool! Love the design and overall layout. Thanks. You guys just keep cranking out this free content and this one is just fantastic! Way to go and thank you very much! As a marketeer who offers website design, hosting and maintenance services but little time to work on my own website, this is a great boost. This is the best so far, it is clean and well laid out. I have been wanting to do a separate website for hosting for a long time now and this is the chance with this great design. As always, Jason’s work is the best. One of the best (if not the best) layout pack you guys have created so far! Awesome! 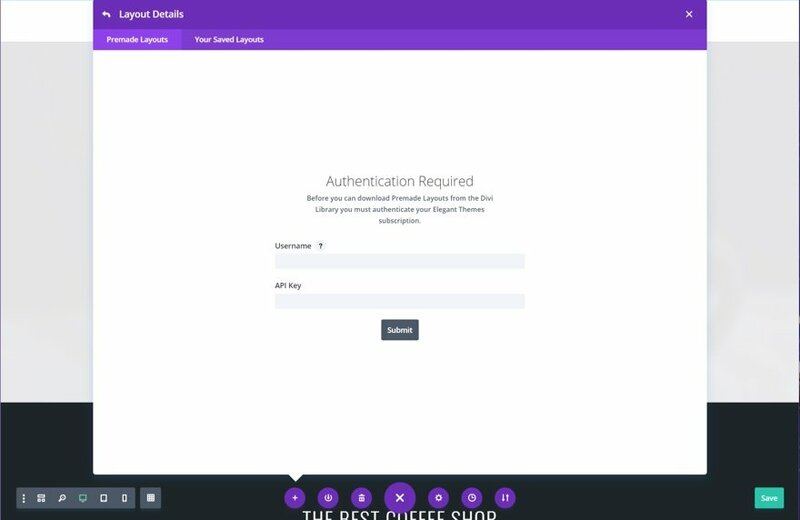 I’m in the process of building a site using GoDaddy’s Reseller Plugin. It uses the Beaver Builder, but I got lost using the Divi builder because I couldn’t import the products. They all show up as pages, but there doesn’t seem to be a way to import the product modules. Any suggestions? Wow, this is an amazing layout I love it. This is Free it is okay to copy all the content of this site without any problem of copy write ??? Great layout. Is it possible to get the psd or ai of the design like the older themes have so I can modify it with client info for them to review as a design option? All I found was components. I love the products I get from Divi and Elegant Themes but, it just seems like pulling teeth to find out where to download something..
WHERE DO I GET THE DOWNLOAD????? Hi, can WHMCS be integrated with this theme, or to be correct, can I integrate WHMCS with this theme? where can i find info on how to setup whmcs to the theme?